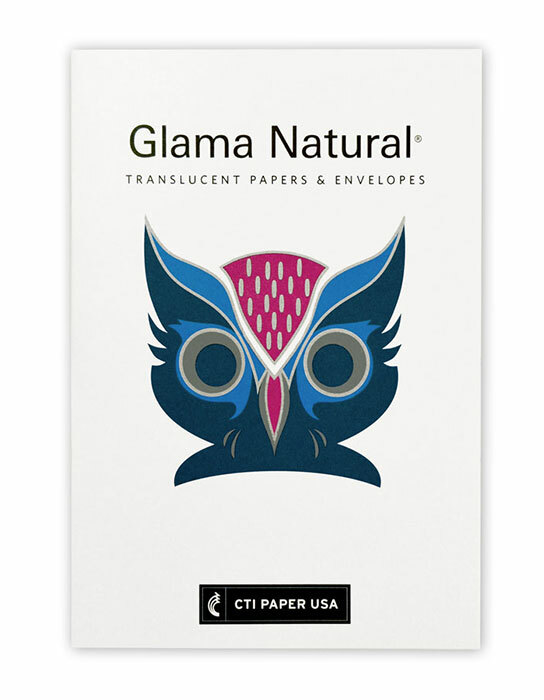 The largest selection of translucent printing papers and envelopes available, Glama Natural is widely recognized for its elegant and cloudless fiber formation, superior translucency and unrivaled folding strength. 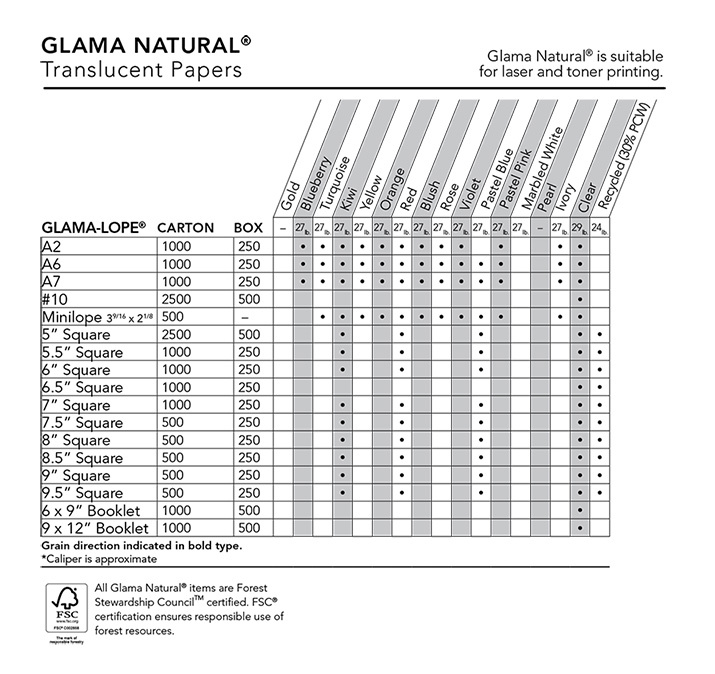 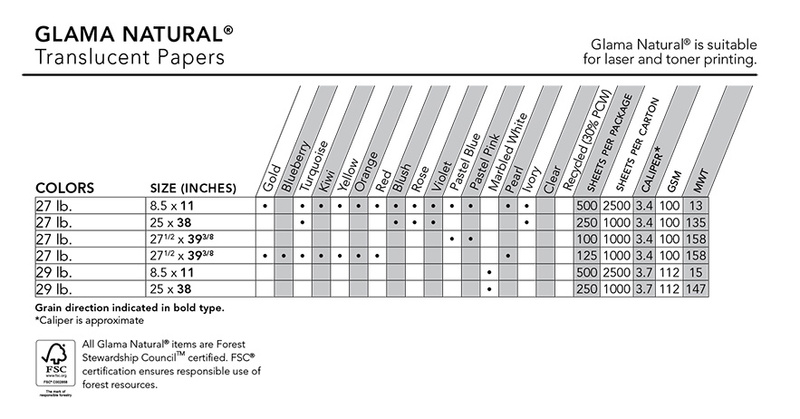 Glama Natural‘s surface is designed for peak offset printing performance as well as being suitability for ink jet, laser and toner applications. 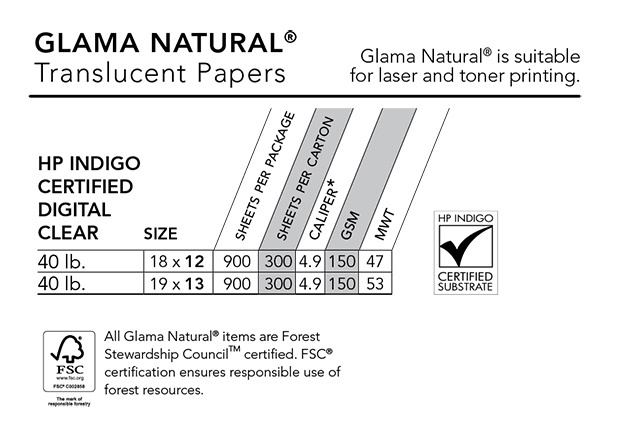 New to the Glama Natural line are the specially formulated HP Indigo products. 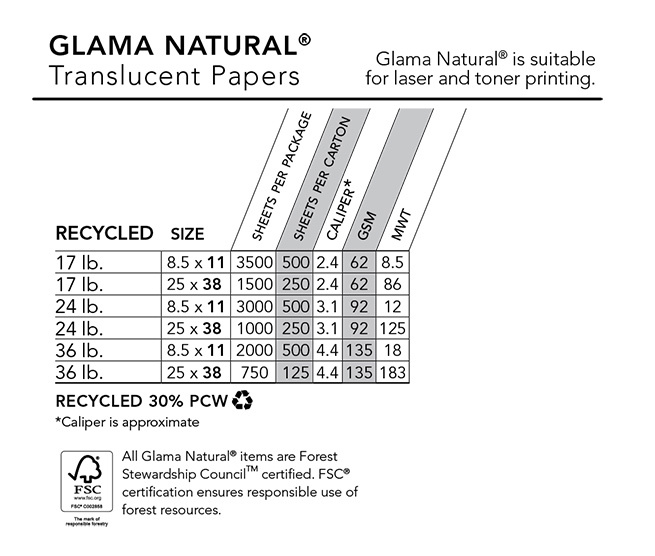 Glama Natural is also one of the only translucent lines to offer several 30% PCW Recycled items. 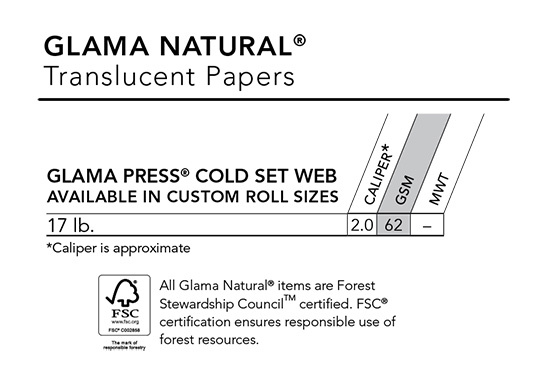 Available in Text, Cover and Envelopes, Glama Natural is FSC® Certified, Elemental Chlorine Free, Lignin Free, Acid Free and Recyclable. 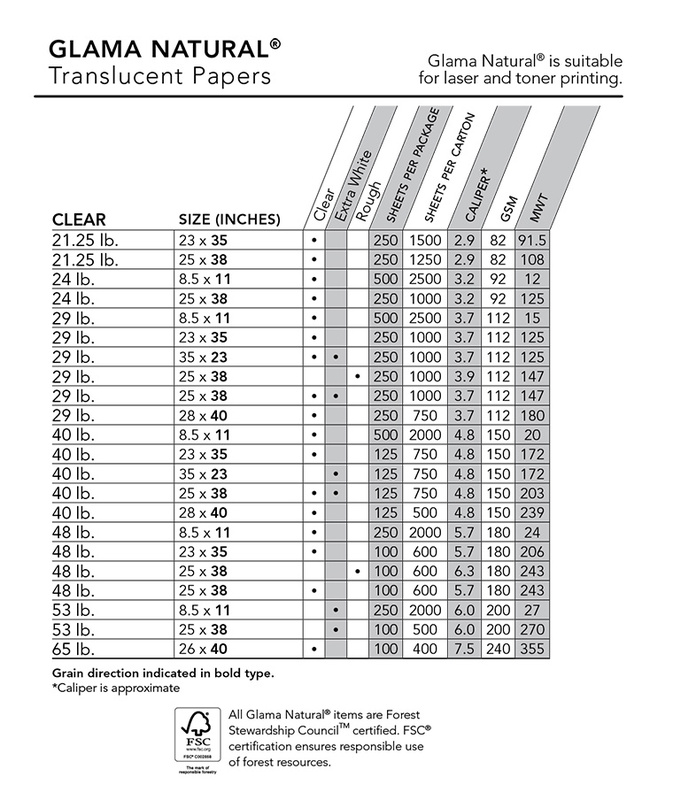 For more information contact CTI Paper USA or your local paper merchant.